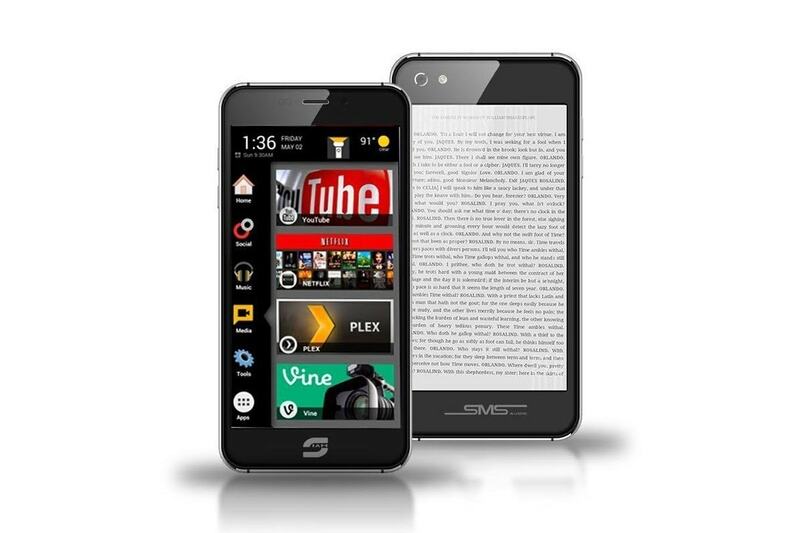 When the Siam 7x debuted in the US last December, you had to pay $550 to get this dual-screen smartphone. Now you can get it for less than half that much. I was browsing Amazon this morning, working on the Spectra E-ink story, when I noticed that the Siam 7x was now selling for a much lower price. It is available in black or white, and costs $250. The Siam 7x is an off-brand (to an American, anyway) smartphone originally developed in China. There are hardly any user reviews on Youtube or off, but we do know that the specs say that it is running Android 5.1 Lollipop on a quad-core Mediatek CPU with 2GB RAM, and 16GB internal storage. It has a pair of cameras (8MP and 16MP w\Flash), the usual connectivity (Wifi, BT, and GPS), dual-SIMs, and reportedly works with T-Mobile, MetroPCS, Straight Talk, and AT&T. And of course it has two screens: this smartphone had a 5" LCD screen with a resolution of 1280 x 720, and a 4.7" E-ink screen with a resolution of 960 x 540. There was a brief craze in 2014 and 2015 where dual-screen smartphones were the hot new thing. Yota Devices sparked the craze, and several companies fed into it by releasing smartphone cases which added a secondary E-ink screen to the rear of the iPhone or Galaxy smartphone. That craze died out when it was clear that no one had really come up with a good use for the E-ink screen, and few had invested in the software to support it properly. And that is a concern for the Siam 7x. Without user reports, I can't tell you whether the E-ink screen is fully supported by the software. That lack of info is why the Siam 7x was doomed at its original price point, and it's also the reason that this smartphone is selling poorly now. There's only a single valid review on Amazon, and that would have been enough to have turned me off the Siam 7x when it was selling for $550. At its current price, however, I might be willing to risk it - if I had the funds. Amazon to Open Convenience Stores, Expand Grocery Market Footprint? By the way … Yotaphone 2 that you reported on, is further discounted to 125Euro. CNET was not impressed. The e-ink was faint, twitchy, and it doesn’t handle standard e-book formats. Thanks. I didn’t find that Cnet review when I looked. “rice point” – probably want to fix that typo there Nate. Nate, in this phrase “Siam 7x was doomed at its original rice point” you forgot a “p”.